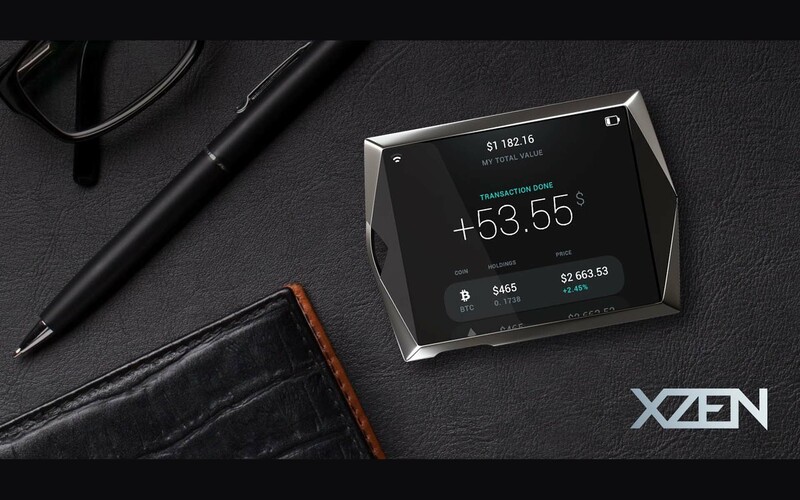 Startup XZEN presented the first “smart” hardware cryptocurrency wallet designed to erase the boundaries between cryptocurrency and traditional financial worlds. The banking sector faces rather hard times. A large amount of accumulated internal problems (such as high commissions, low level of yield, a great number of intermediaries, slow rate of transactions and high regulatory barriers) compel people to search for alternative options. For this very reason, many people draw their attention to cryptocurrencies. No one knew about them just a while ago, but nowadays the world leaders discuss the idea of national cryptocurrencies. Financial transactions required a bank account earlier, but now the necessary condition is a cryptocurrency wallet. Just a few years ago there have been only 5 million wallets in the world; nowadays the number exceeds 20 million pieces. Any bank could envy such a growth of clients and balance. Merely Myetherwallet stores over USD 60 bln. If a comparable growth continues, the wallet could become the part of TOP-100 of the largest world banks in terms of assets. In the meantime, the cryptocurrency market encounters severe problems crippling its development. These include the issue of assets’ safety as well as low rate of involvement of cryptocurrencies into peoples’ daily life. As far as safety issues are concerned, over USD 1.8 bln in cryptocurrency has been stolen for the past 4 years. This matter scares away many potential users. As regards to the second problem, nowadays people mainly use cryptocurrency to generate speculative income. Its usage in a daily life is still heavily limited; at the same time, cryptocurrency is a fundamentally effective means of payment and exchange. The international startup XZEN promises to resolve these problems and release the most functional and safe wallet for cryptocurrencies. According to the developers, the wallet by XZEN will be able to change the paradigm of personal finance management dramatically. It will allow simultaneous storage of both cryptocurrencies and traditional fiat currencies, which could be further used to pay for goods and services all over the world with the help of the integrated NFC chip. There is, though, something more to add. The developers say that the people in the future could use the wallet as a substitute for banks since the device will comprise a great number of up-to-date financial services. For instance, the users will be able to convert the currencies within the wallet, invest into various ICO projects, obtain and provide credits as well as to perform instant transfers within the system with no commission. The wallet by XZEN is a combination of splendid modern design, functionality and the most advanced technologies. The wallet’s body will be made of high-quality steel and impact-resistant glass, which will provide IP67 ingress protection. 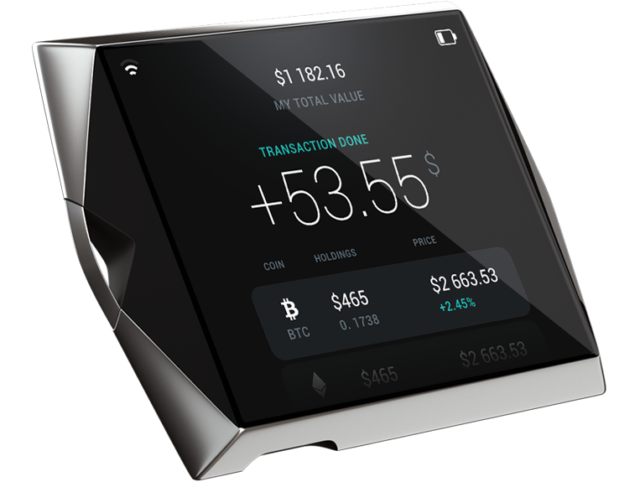 The wallet’s up-to-date technologies such as color LCD display, 3rd generation fingerprint sensor, Bluetooth 3.0 and NFC chip will ensure maximum usability and high level of security. The internal battery of 1100 mAh capacity will guarantee the wallet’s standby time up to 2 weeks. The main feature of the wallet is a breakthrough level of security provided by the proprietary hybrid security system – CyberSecurity XZEN. The system ensures encrypted data transfer and decentralized storage of information; the private keys will be stored in a “hardware” device in a special protected chip leaving out the possibility of personal data theft even in case of physical intrusion. As a result, the users will be able to safely store many different assets and currencies in a single wallet with no concerns for their security. The economy is on the brink of global changes. We are marching forward at a great pace towards “personalization” of financial services where anyone is able to manage his own money and assets all by himself. We are going to face a very interesting brand-new financial system with a great number of opportunities. Our global task is to provide safe and easy access to such opportunities to millions of people. We seek to make XZEN the key to the economy of the future. The project team has recently announced the first fund-raising round, required for the launch of the 1st version of the mobile application, development of the device’s prototype and preparation for the global ICO. Pre-ICO will start on November 13 and end up on November 30. Anyone is welcome to participate, and there are no limits to the amounts to be invested. In addition to that the managers state that the investors with over USD 1,000 input will get XZEN hardware wallet FREE of charge. Production of the device is scheduled for the 2nd half of 2018.